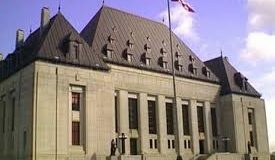 The "rule of law" and "legislative supremacy" are not conflicting but complementary concepts, and both are entrenched in the Canadian Constitution. One could scarcely find an area of law so muddied as administrative law. In a recent blog post on Double Aspect, Leonid Sirota argues (omitting some far more colourful language) that our courts continue to struggle with reconciling the basic concepts of parliamentary supremacy and the rule of law, which are said to be in conflict with one another. 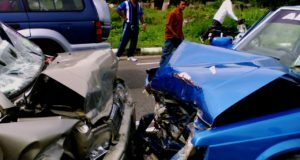 The Supreme Court offered what appeared to be a definitive framework in the Dunsmuir decision of 2008, but subsequent cases have “refined” that framework to put it mildly. Professor Sirota is of course just one of many commentators who have criticized the state of administrative law. 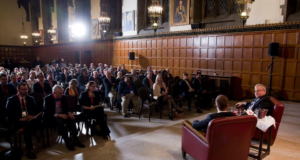 Justice David Stratas of the Federal Court of Appeal, who is one of the foremost experts in administrative law, made administrative law the centerpiece of his keynote address at the Canadian Constitution Foundation’s Law and Freedom Conference in January 2016. 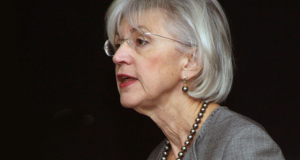 Justice Stratas’s address was entitled “Reflections on the Decline of Legal Doctrine” and nothing better exemplifies that decline than the ever-changing frameworks that have characterized administrative law. My own practice intersects with administrative law only from time to time, and I would never claim to be an expert on the topic. However, it seems apparent from reading recent case-law and academic commentary that the problems plaguing administrative law cannot and will not be solved until the courts and academics get back to the basics, as it were, so that they may properly understand the principles at play and how they do and ought to interrelate with one another. Professor Sirota attempts to do just this in his blog post, and I would say successfully for the most part. 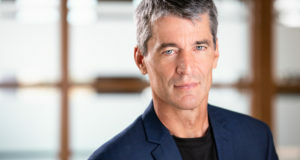 He argues that the rule of law effectively trumps legislative supremacy, at least in the administrative law realm, and that this principle requires a “correctness” standard of review often, if not always. I wholeheartedly agree with Professor Sirota that the decisions of administrative bodies should be reviewed on a correctness standard to a much greater extent than they are now. But it is not because the rule of law trumps legislative supremacy. Rather, in my view, it is because the rule of law and legislative supremacy both militate in favour of a correctness standard. Contrary to popular wisdom, my own view is that, properly understood, legislative supremacy and the rule of law are not in conflict, but are complementary concepts. When judges speak of the “rule of law” in the administrative law realm, I think they are referring more particularly to the “separation of powers,” which should be understood as a sub-species of the rule of law. At base, the rule of law means that all public officials are subject to and subordinate to the law. This can only be achieved, however, through the creation of an independent and impartial judiciary to say what the law is and apply it to specific facts and cases. Without it, the executive branch could interpret the law to mean whatever it wished and execute its own policy preferences in place of the law. The twin concepts of the separation of powers and judicial independence have been part of the British Constitution for centuries. But it wasn’t always so. In the 14th century, judges in England were often members of the King’s Council. The common wisdom was that only those who had had a hand in making the law could be trusted with its interpretation. Thus, in Aumeye’s Case (1305), Chief Justice Hengham admonished counsel for attempting to interpret a statute saying “Do not gloss the statute, we understand it better than you do, for we made it.” Fortunately, the English began to see the value of an independent judicial branch beginning in the 15th century (For further reading see Theodore Plucknett, A Concise History of the Common Law, 5th ed, 1956, republished by Liberty Fund Inc., 2010 ). The corollary to an independent judiciary empowered to say what the law is and decide cases is an equally independent legislative branch possessing the exclusive authority to make laws. It is no coincidence that the first English Parliament was established in the wake of Magna Carta and that document’s call for no taxation without representation. In the beginning, Parliament’s primary function was not that it represented the people – for the most part, it did not – but that it provided a check on arbitrary executive authority. It is also no coincidence that Parliament became supreme in Britain around the same time that the judiciary cemented its independence as a separate branch of the state. If judges are merely agents of the Crown, then they will interpret Parliament’s laws to mean whatever the Crown wishes them to mean. Parliamentary sovereignty therefore necessitates an independent judiciary that will interpret and apply its enactments faithfully, and thereby ensure that the people are ruled by law and not by the will of other men. What we call “legislative supremacy,” then, is really a function of the separation of powers, which is itself a function of the rule of law. In other words, the concept of legislative supremacy does not stand in opposition to the rule of law; on the contrary, it is derived from the rule of law. These various concepts are all entrenched in the Canadian Constitution. The Constitution Act, 1867 states that Canada shall have a Constitution “similar in principle” to that of the United Kingdom, and this would undoubtedly include the principles of legislative supremacy, judicial independence and the separation of powers (and the rule of law generally). 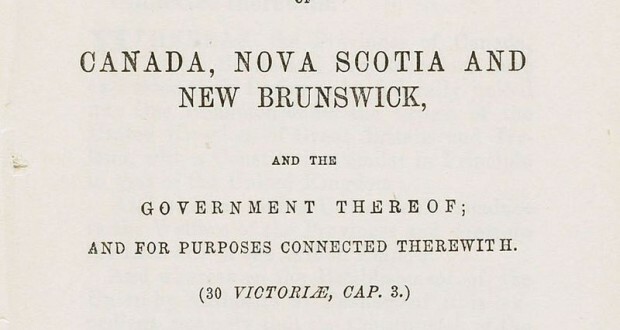 The Constitution Act, 1867 separates the executive, legislative and judicial branches of governments and sections 91 and 92 expressly provide that Parliament and the provincial legislatures shall have the “exclusive” right to make laws (see Stratas J.A.’s decision in Canada (Citizenship and Immigration) v. Ishaq,  1 FCR 686, 2015 FCA 151 (CanLII), at para 26). The preamble to the Constitution Act, 1982 (and the Charter) further affirms the “supremacy” of the rule of law. Section 52 of the Constitution Act, 1982 states that the Constitution is the supreme law of Canada, and Part V of that Act establishes that the Constitution may only be amended by the legislative branch. 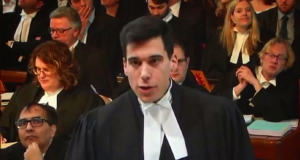 Professor Sirota takes issue with the Supreme Court’s contention that Canada was transformed in 1982 from a system of “legislative supremacy” to one of “constitutional supremacy,” noting that the Canadian constitutional system has always been one of “constitutional supremacy” and that the Charter simply imposed additional constraints upon legislatures. I generally agree with him; the Charter brought a change of degree not of kind. But in my view, our system has also been and remains one of legislative supremacy. The Constitution is the supreme law of the land and supersedes ordinary legislative majorities; but the Constitution can only be amended through legislative consensus (in most cases requiring a super-majority). The legislature thus remains supreme in that it is the source of all positive law including the Constitution and its amendments. Once we accept this basic interplay of constitutional principles, the issue of the standard of review in administrative law becomes clearer. The concepts of “legislative supremacy” and “rule of law” are not in conflict and need not be balanced. Both concepts point toward a standard of correctness, at least where questions of pure law are concerned. The administrative tribunal or decision-maker only exists because a statute says it does, and it derives its powers entirely from that statute. Legislative supremacy requires the tribunal to apply the law as written. Where the tribunal exceeds its legislative jurisdiction or otherwise misinterprets its “home statute,” it is, in essence, doing something other than what the legislature said it could do and is thereby undermining the supremacy of the legislature. To restore legislative supremacy, the court must step in to correct this mistake. In doing so, the court is also giving effect to the “rule of law” by serving as the final arbiter of what the law is. Some commentators have argued that a reviewing court should defer on matters of law where the tribunal has expertise in the area. This strikes me as a difficult and perhaps inherently subjective standard to apply, since expertise will vary not only between tribunals, but, more importantly, between tribunal members. There is, I suppose, nothing wrong with acknowledging a decision maker’s expertise in considering the correct interpretation, especially in “hard cases” (indeed, appellate courts are known to acknowledge the expertise of certain trial judges). But this nominal level of “deference” should not be confused or conflated with the more robust concept of deference that requires the court to accept the view of the tribunal absent an unreasonable finding. The former can perhaps be justified on pragmatic grounds; the latter offends the rule of law and legislative supremacy. As the late Justice Scalia explained in his article, “Judicial Deference to Administrative Interpretations of Law” “deference” to the tribunal on matters of law does not necessarily mean “anything more than considering those views with attentiveness and profound respect, before we reject them” (see p.515). Things naturally become more complicated when issues of fact or mixed fact and law enter the picture. Pure issues of fact justify a level of deference to the tribunal. In creating the tribunal, the legislature has expressed its will that the tribunal be granted a fact-finding role. At the same time, the separation of powers does not necessarily require courts to make findings of fact, and unlike matters of law that typically point to a single correct interpretation, findings of fact tend to be more discretionary in nature, and often require the trier of fact to weigh conflicting evidence. As such, a court’s deference to the tribunal’s findings of fact will not ordinarily offend the rule of law principle. On the other hand, where a tribunal’s findings of fact are palpably wrong or unreasonable, the result will be, in effect, a misapplication of the law, and thus of the legislature’s enactment. For example, under the Workplace Safety and Insurance Act (“WSIA”), a worker will not be entitled to sue a “Schedule 1” employer if he or she is injured in the “course of employment”. Much ink has been spilled on what the phrase “course of employment” means in law. The tribunal’s jurisprudence on the issue has been somewhat inconsistent and unpredictable precisely because there is no uniform “correct” standard that has come from an appellate court (this doctrinal inconsistency is another problem with a “reasonableness” standard on questions of law). But even if an appellate court established the correct test or framework to be applied and followed in all future tribunal cases, individual decision makers could still make grossly unreasonable findings of fact to tip the result in one direction or another (for example, finding that the employer was supervising the worker’s activity – and thus the worker was acting in the course of his employment – when there is no evidence of supervision). 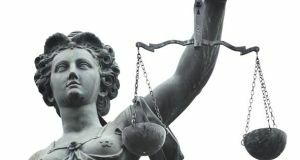 Administrative tribunals should be granted discretion to make findings of fact, and the purpose of judicial review should not be to conduct a hearing de novo. But by the same token, a tribunal should not be permitted to accomplish indirectly what it cannot do directly. If a tribunal makes findings of fact that are not supported by the evidence and these unreasonable findings change or colour the result, then the tribunal has effectively made its own law, and, in so doing, has failed to execute the will of the legislature. The principle of legislative supremacy therefore not only permits but requires the courts to review and overturn these unreasonable findings of fact. With respect to questions of mixed fact and law, in my experience the “legal” and “factual” elements are usually extricable (see Canadian National Railway Company v. Emerson Milling Inc. at paras. 21 – 28). When one is dealing with a vague or value-laden term such as “reasonable” or “public interest,” this becomes more difficult. Generally speaking, a court should approach the problem as one of traditional statutory interpretation. Where the tribunal has misinterpreted or misapplied a provision in the statute, the courts should not shy away from getting it right. But where the term does not lend itself to one definitive meaning or is heavily dependent on the factual matrix, the court should afford the tribunal some deference (and it is perhaps in these situations that the expertise of the tribunal or a consensus of tribunal decisions on the matter becomes more relevant from a practical standpoint; though I leave the issue of whether the standard of review should remain one of correctness or reasonableness to future commentators). Regardless of the standard of review, the court should never lose sight of its role as the guardian of the rule of law and, indeed, of legislative supremacy. The section above presupposes that the legislature has not said anything in the tribunal’s enabling statute about the standard of review. In some cases the legislature will mandate a correctness standard on matters of law, and this naturally buttresses the alliance between legislative supremacy and the rule of law. But, often legislatures will include privative clauses that purport to limit if not outright eliminate judicial review (see for example s.123(4) of the WSIA: “An action or decision of the Appeals Tribunal under this Act is final and is not open to question or review in a court”). Surely, in the case of a strong privative clause, the argument goes, legislative supremacy comes into direct conflict with the rule of law and the two must be balanced (usually in favour of greater deference). Here, however, we must recall that legislative supremacy does not mean that any act of the legislature is supreme, but rather that the legislative branch is supreme in a fundamental sense in that it possesses the exclusive and supreme authority to make law. This subtle distinction is what differentiates the Canadian and United Kingdom Constitutions, which are similar in principle, but not the same in all detail. 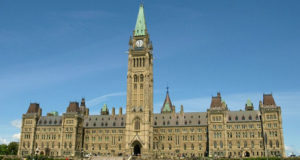 In the UK, Parliament can amend the unwritten Constitution through a simple majority, and is therefore supreme in all of its enactments; in Canada, however, the legislatures are constrained by the written Constitution – a Constitution which, as discussed above, is itself a legislative enactment and can only be amended by way of substantial legislative consensus. 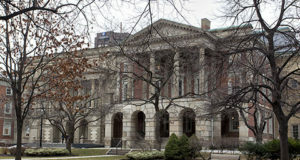 Where a simple majority of the legislature enacts a law that purports to oust judicial review even on questions of law, that legislature has acted unconstitutionally. It has attempted to circumvent the separation of powers embedded in the Constitution by transforming an administrative tribunal into a section 96 court. This naturally undermines the rule of law principle, but it is also at odds with legislative supremacy. The “super-majority” of the legislative branch has, in effect, said that a simple majority of one or more legislatures shall not be permitted to do certain things. Thus, the conflict is not between legislative supremacy and the rule of law, but rather between two conceptions of legislative supremacy – one in which a super-majority has the power to bind future simple majorities, and one in which it does not. Canada opted for the former model in 1867. There is a tendency is the jurisprudence to treat a privative clause as a “factor” to be weighed in assessing the proper standard of review. Respectfully, this is a misguided approach that respects neither the rule of law nor legislative supremacy. Either a privative clause is constitutionally valid, in which case the rule of law demands that the courts give it full effect, or it is unconstitutional, in which case it should typically be struck down. If the clause is capable of being read down to mean something that would pass constitutional muster, then it is appropriate to do so, but in the case of the WSIA privative clause cited above, I do not see how a court could interpret it to mean anything other than what it clearly says. This article is not meant to serve as a formula for all future administrative law decisions. My limited intention here has been to return to first principles so that we may better understand the framework within which we are operating. The many questions facing administrative lawyers are undoubtedly complex, but I am hopeful that these questions can be answered more easily with a firmer appreciation of the relevant constitutional principles and how they interrelate. If we are finally to achieve doctrinal stability and consistency in administrative law, then we must first recognize that the rule of law and legislative supremacy are two sides of the same coin, and that deference to the legislature means deference to its enactments, not to the administrative body it has created to perform certain specified tasks.